Summer is Ludington's favorite season, so if you're considering a vacation in the area, we've got the festivals to keep you entertained! Have fun at the event, and then discover Ludington's beaches, trails, lighthouses, lakes, sand dunes, cultural activities, and so much more! Visit our Calendar of Events to see a complete list of events. 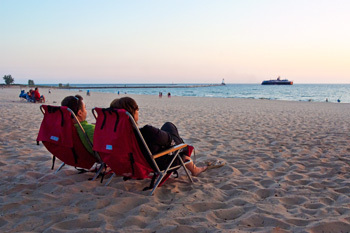 Check out Ludington Lodging for places to stay, Ludington Restaurants for great places to eat and Things to Do for plenty of fun in the Ludington area!